Built with authentic charm, artisan design, and Tuscan-inspired architecture, our distinctive apartments feature a carefully curated selection of high-end elements. Quality is more than skin deep at Arrive Eilan in San Antonio, TX, where each detail was hand picked and brought to life with the utmost care and attention to detail. Beginning with the custom, hand-stained entry doors and granite thresholds, each of our homes is a veritable treasure chest of luxuries. 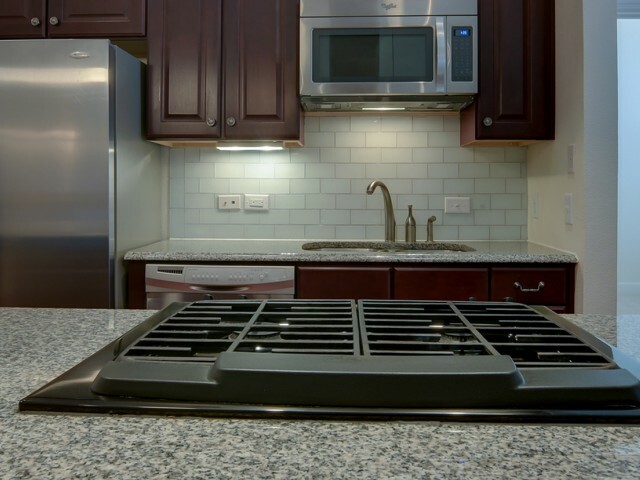 Chef-inspired kitchens include granite stone counters, gas cooktops, and beautiful Sicilian-style glass tile backsplashes. 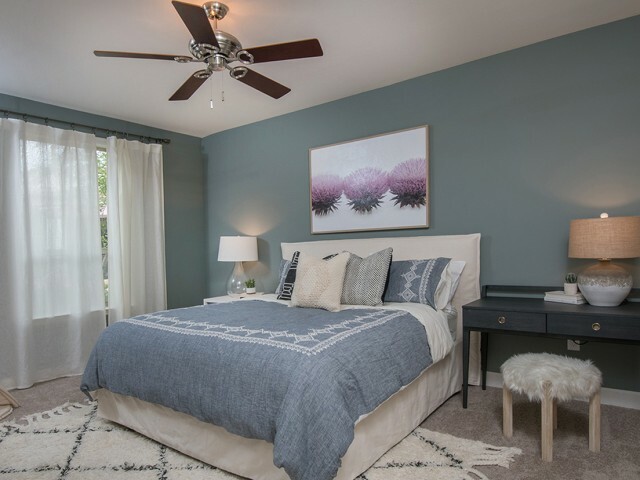 Eco-friendly features include programmable thermostats and energy-efficient lighting, windows, and appliances. Vaulted ceilings, custom 2 blinds, and cherrywood cabinets add style and an accent felt throughout the rooms. 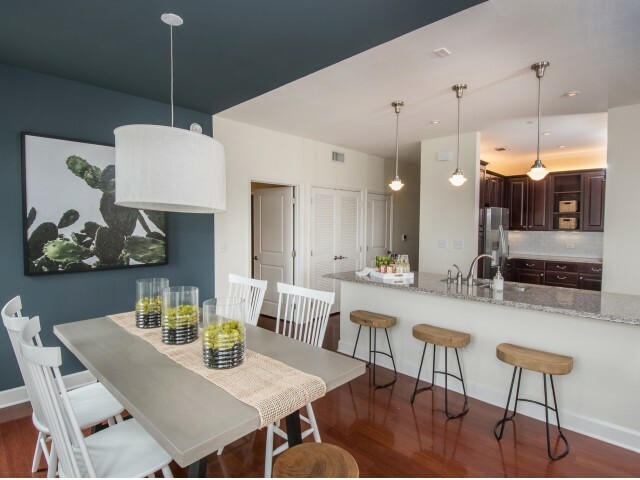 Effortlessly elegant and endlessly inviting, our beautiful apartments in San Antonio are a place where you'll love coming home. Take luxury living to new heights in our uniquely designed community. Call us today to reserve your place here! Work out without going out. When you're ready for a real workout, hit our state-of-the-art fitness center for weight training and aerobic exercise, or simply test your endurance in our lap pool. Billiards | Business center | Socializing space and events | The Great Room is also available to be leased out for private events by contacting resident services. Energy efficient lighting, windows, & appliances | Sustainability as our core guiding principle | The entire community was designed from the ground up to achieve higher energy efficiency and improved air quality.